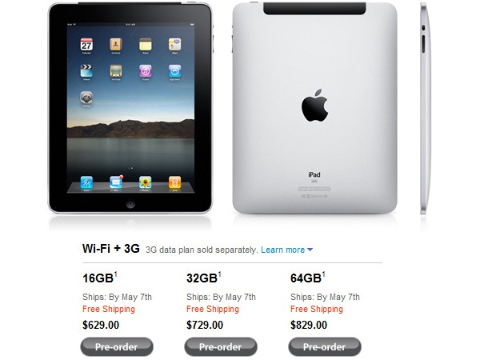 Today, Apple released the iPad 3G. The pricing is $629 for the 16GB, $729 for the 32GB and $829 for the 64GB. That’s $130 more than the WiFi-only model which is ridiculous. A research firm iSuppli, which did a teardown of the WiFi model, and found that the additional parts required for 3G connectivity cost an estimated $24.50. That’s Apple for you! The Dev-Team say that they will release their untethered jailbreak which will work on all devices including the iPad soon after the iPad 3G release. Sadly the jailbreak named Spirit will not include a carrier unlock. The Dev-team recommends you have your SHSH blobs backed up.